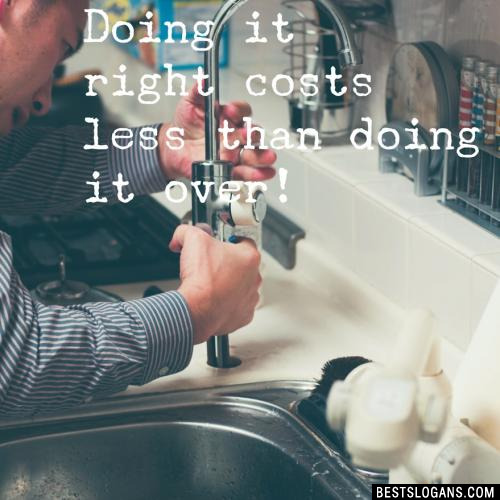 31 new entries added to handyman slogans, that include pictures. 1. Not all handymen are created equal. An estimate was that in 2003, the market for home-maintenance and repair spending was up 14% from 2001 to 2003. Making the handyman a high demand. The handyman image recurs in popular culture. There have been songs about handymen recorded by Elvis Presley in 1964, Del Shannon in 1964, James Taylor in 1977. 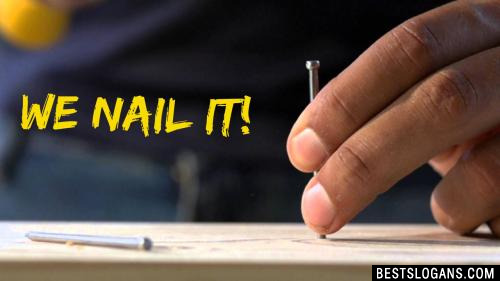 In Canada, there's a television show called Canada's Worst Handyman which is a reality show in which handyman contestants try their best on jobs in order to not be labeled worst handyman. Most of us think of handymen as the guy next door who comes to fix all our things and sometimes make them worse. 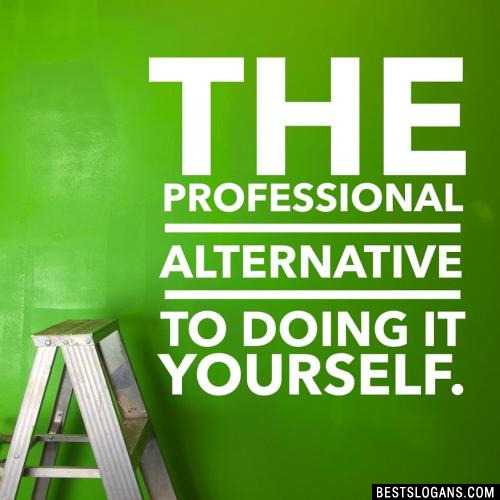 However, the term handyman is broad and it refers to all those professional contractors we call to install or do repairs in our premises or our vehicles. These are plumbers and electricians, mechanics and auto electricians. We all know that we need these people in our society and we really cant do without them. Unfortunately not many people really understand their importance because if we did we would respect them and pay them more. 1 Not all handymen are created equal. 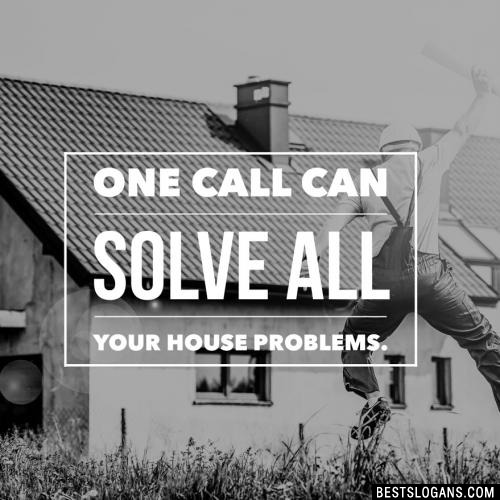 3 Call us or Screw it up yourself. 4 If your house is anything like mine it needs fixing. 6 Roof with the best, or leak like the rest. 7 If I can't fix it, Screw it! 8 Your right hand handyman. 9 We repair what your husband fixed. 10 We make your oy vey go away. 11 We care to fix it right. 14 Repairing the world one light bulb at a time. 15 Quick service in real time. 17 Quality service, fair pricing. 18 Prompt service you can depend on. 19 Our pledge to you On time done right. 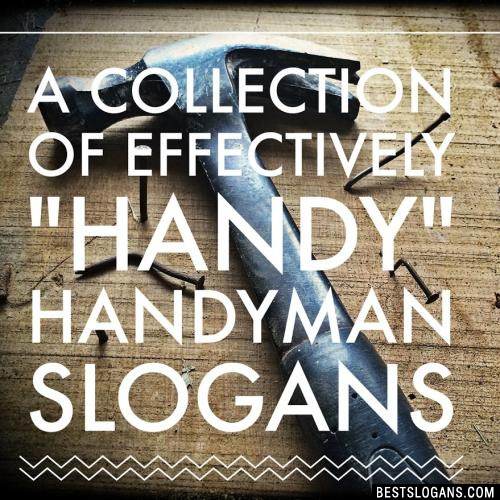 Can you think of a good Handyman Slogans we're missing? Or come up with a clever one of your own. Please share below.